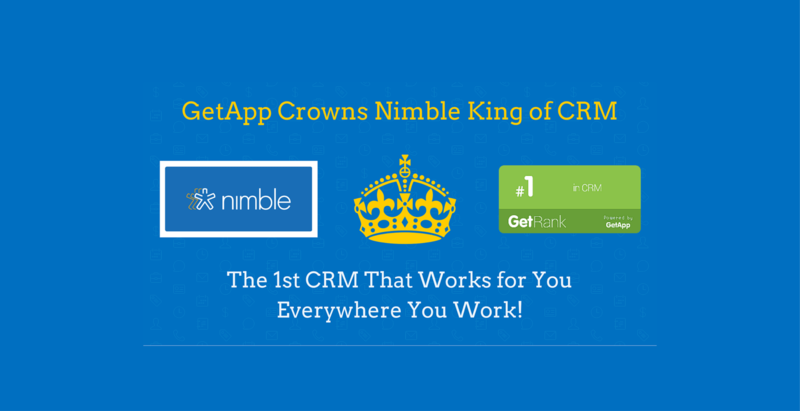 Nimble is honored to be named the #1 CRM platform in GetApp’s inaugural ranking of top 25 CRM solutions. GetApp is an online marketplace for cloud-based business apps and specializes in helping small and medium-sized businesses find, research and get in touch with business app providers from over 100 software categories. 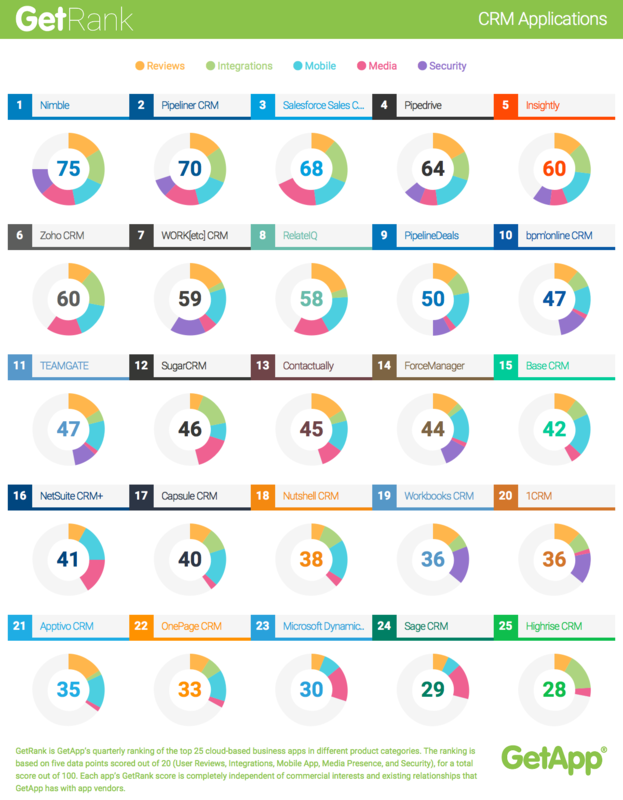 GetRank is GetApp’s quarterly ranking of the top 25 CRM platforms based in the cloud. Each app is scored using five criteria for a total possible score out of 100: User Reviews, Integrations, Mobile Apps, Media Presence, and Security. Each app’s GetRank score is completely independent of commercial interests and existing relationships that GetApp has with app vendors. For a full report on GetRank and quarterly industry trends, click here. 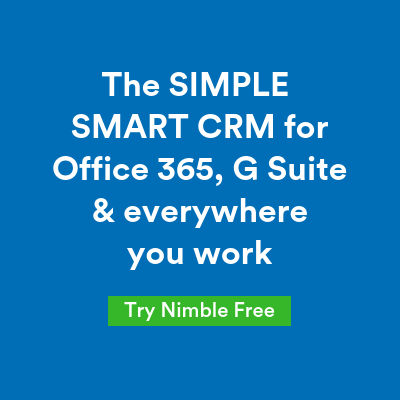 Nimble was recently recognized as #1 CRM in Customer Satisfaction and CRM Market Leader by G2Crowd, ranking alongside Salesforce with a 98 satisfaction score, the highest in the CRM grid. Prior to that, we have been acknowledged as the No. 1 Sales Intelligence in Customer Satisfaction and overall High Performer. GetApp’s recognition of Nimble as a #1 CRM was also preceded by ranking the highest in numerous other reviews in the past six months. 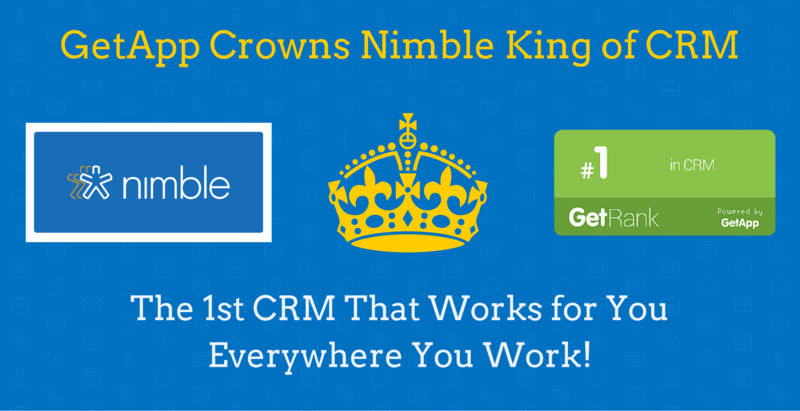 Nimble, The First CRM That Works For You, Everywhere You Work! This is where the idea of social listening comes into play. A ‘Social CRM’ like Nimble, provides insights from online sources and social media to help businesses stay on top of customer opinions, problems, and product suggestions.